Insomniac brains are different from good sleepers, according to neuroscience. Why did Slate start a sleep blog? Find out here. For decades, Michael Jackson had struggled to fall asleep at night. But in 2009 the pop singer was preparing for his worldwide comeback tour, and he couldn’t afford to be at anything less than 100 percent. Desperate for sleep, he convinced an unscrupulous physician to give it to him synthetically in the form of an anesthetic so strong that it sent him almost immediately into a “druglike coma.” At first, Jackson would wake up feeling refreshed. But the nightly injections conferred only the shadow of true sleep, with none of the deep, dream-filled REM cycles that his body needed. Soon he was fading fast, his mind and mood slipping away. Within two months Jackson was dead of an overdose. If that hadn’t killed him, doctors later testified during his wrongful death trial, he would have died of sleep deprivation. Jackson’s is a particularly dramatic case. But his struggle for oblivion rings true to anyone who has dealt with insomnia. “I’m for anything that gets you through the night,” Frank Sinatra once said, “be it prayer, tranquilizers, or a bottle of Jack Daniel’s.” If you have insomnia, you’ll understand this sentiment, and you’re not alone: Regular sleep eludes up to 15 percent of the population, making insomnia the most commonly diagnosed sleep problem in America. Fortunately, the nighttime affliction is becoming steadily less mysterious—at least from the perspective of neuroscience. While insomniacs toss and turn, researchers are finally starting to understand this elusive disease. As it turns out, chronic insomnia may be more hard-wired into our brains than we had thought, and indicative of larger differences that separate the brains of the sleepless from those who so effortlessly enter the land of dreams. 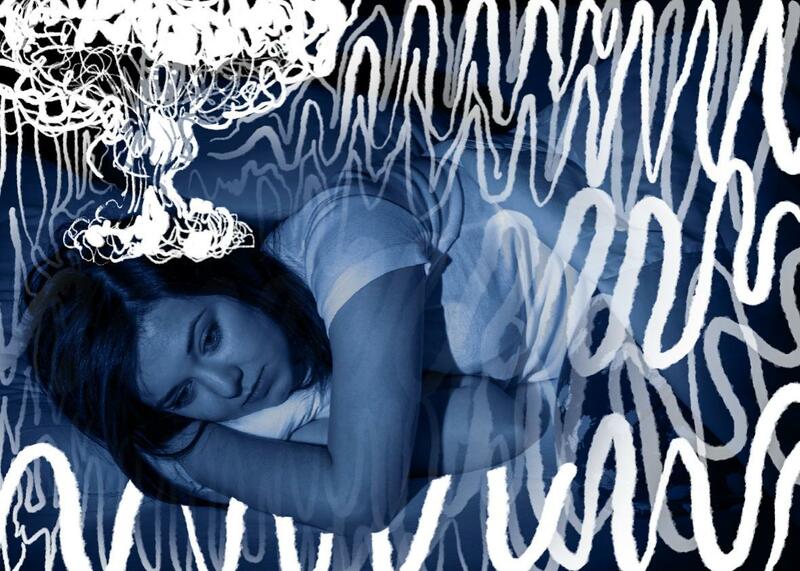 In 2014, Rachel Salas, director of ambulatory sleep services at Johns Hopkins Center for Sleep, tested how quickly insomniac patients could learn a simple motor task. Given that their brains were depleted of fuel, she reasoned, they’d probably do worse. Instead, they did far better. “Their brains were more plastic, more adaptive,” Salas says. It wasn’t the sleep deprivation: It was that their brains simply processed information faster, whether or not they had gotten enough sleep. In fact, other studies have found that insomniacs have heightened levels of the stress hormone cortisol and higher overall brain metabolism, whether they were sleeping or awake. “It’s like a light switch that’s always on, a car that’s always running” is how Salas describes the insomniac brain. Her findings add to the mounting evidence that insomnia is not just something that happens at night—the insomniac brain exists in a constant state of hyperarousal. The problem goes beyond not sleeping. Even when they do manage to conk out, insomniacs don’t enjoy the rejuvenating effects that others do. In 2014, Swiss researchers analyzed the brainwaves of good and bad sleepers trying to fall asleep. In those with the most trouble staying asleep throughout the night, researchers found faster brain waves even while they were asleep. They had never entered deep sleep, with all those dreamy REM cycles that are so key to memory formation, concentration, and having a not-awful mood the next day. “They were almost like you would see in people who are awake,” says Salas. In what’s been referred to as paradoxical insomnia, these tortured souls could sleep all night and still wake up feeling like they hadn’t gotten a wink. Alas, the more we learn about insomnia, the more we realize how truly harmful it is. You could count the negative repercussions of insomnia like sheep: Studies show that a good night’s sleep is key to forming memories and strengthening cognitive skills the next day. Insomniacs suffer major deficits in complex cognitive processes, including working memory and attention shifting. Sleep deprivation weakens immunity and increases your chance of work-related errors and traffic accidents. Throwing off your body’s normal circadian rhythms can put you at risk for higher rates of heart disease, diabetes, obesity, high blood pressure, and stroke. Prolonged trouble sleeping is associated with depression, bipolar disorders, and other mental health problems. Hopefully that invigorated approach can serve as some comfort to insomniacs, rather than just more fodder to fret over when they find themselves awake at 4 a.m.